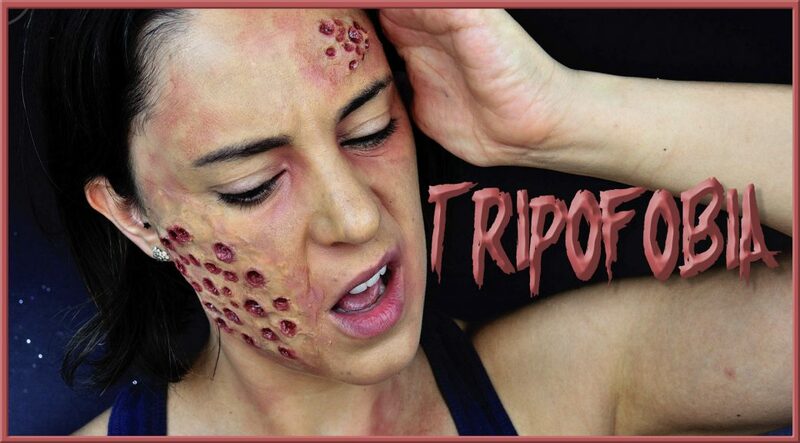 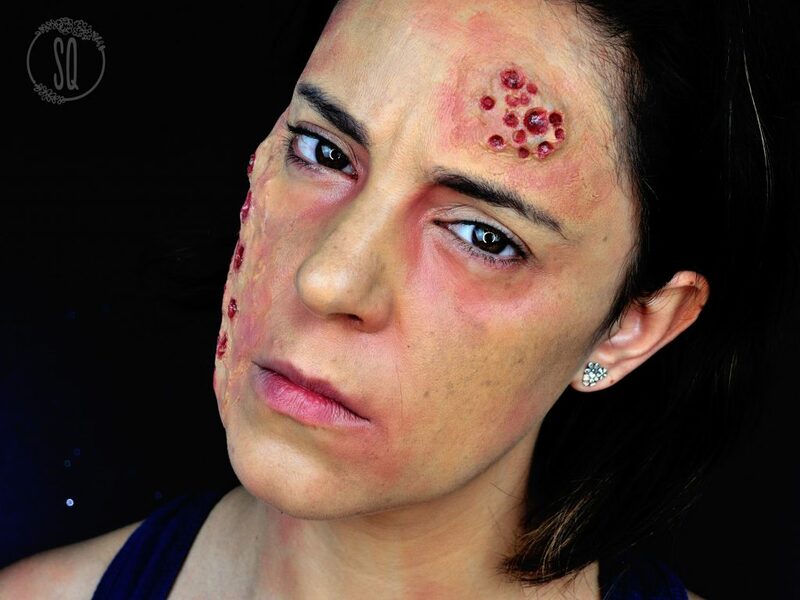 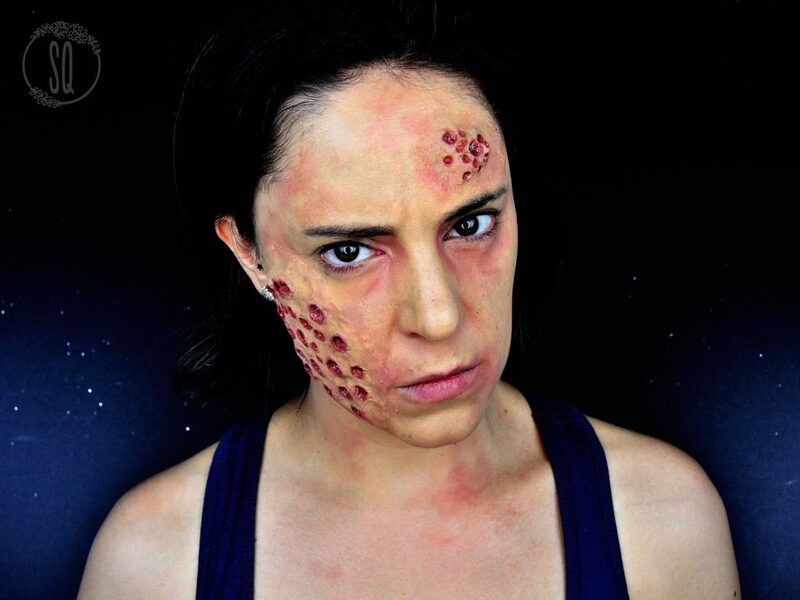 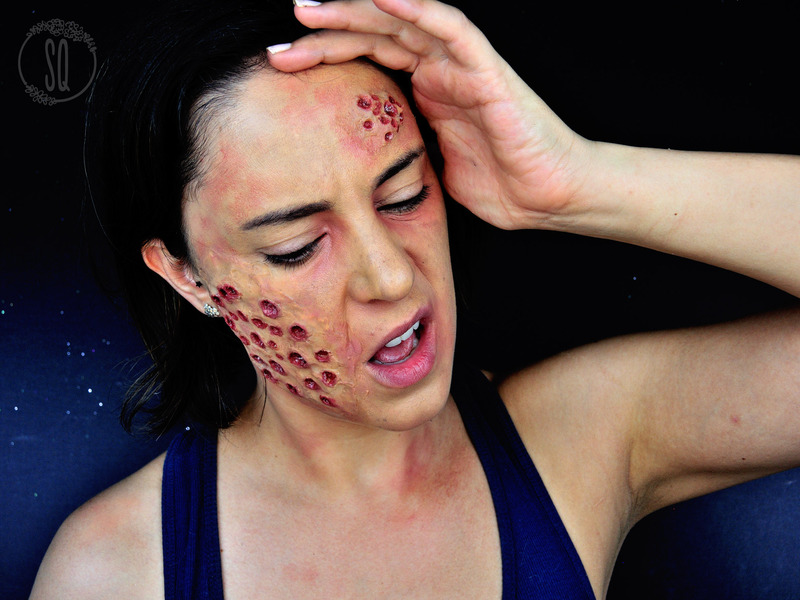 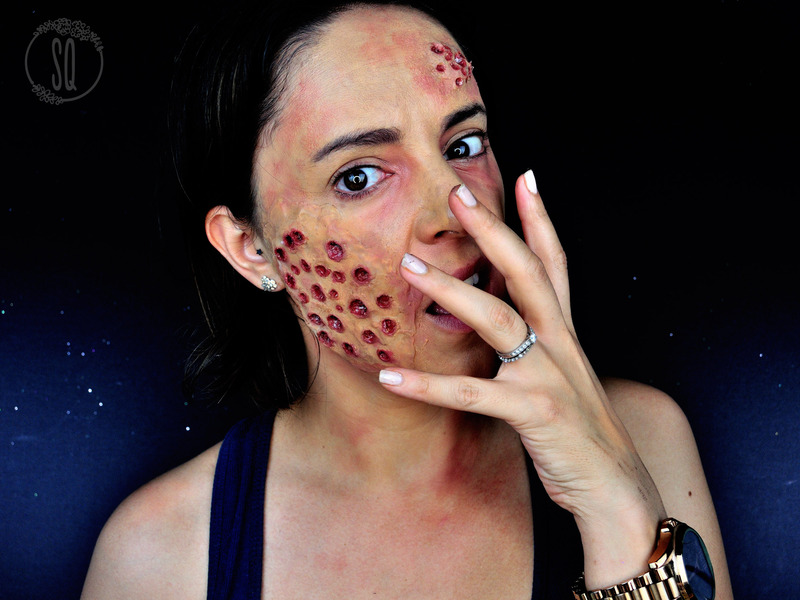 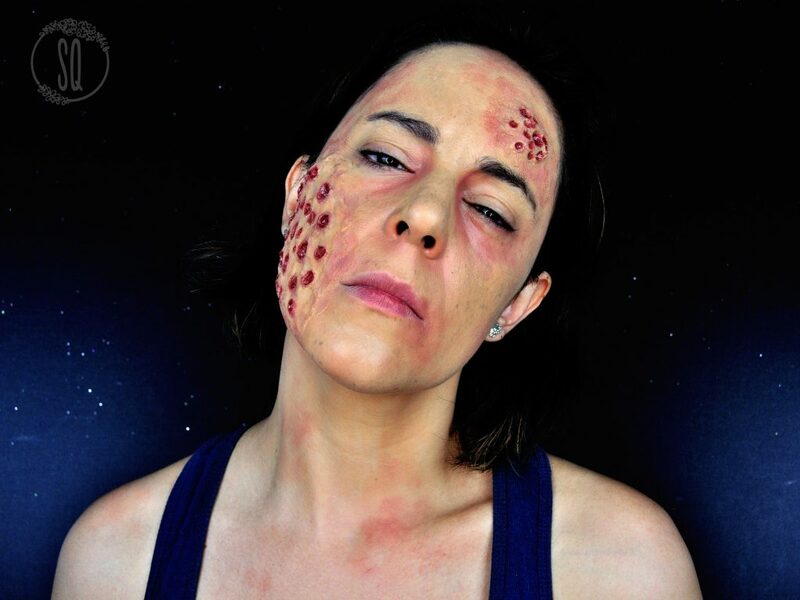 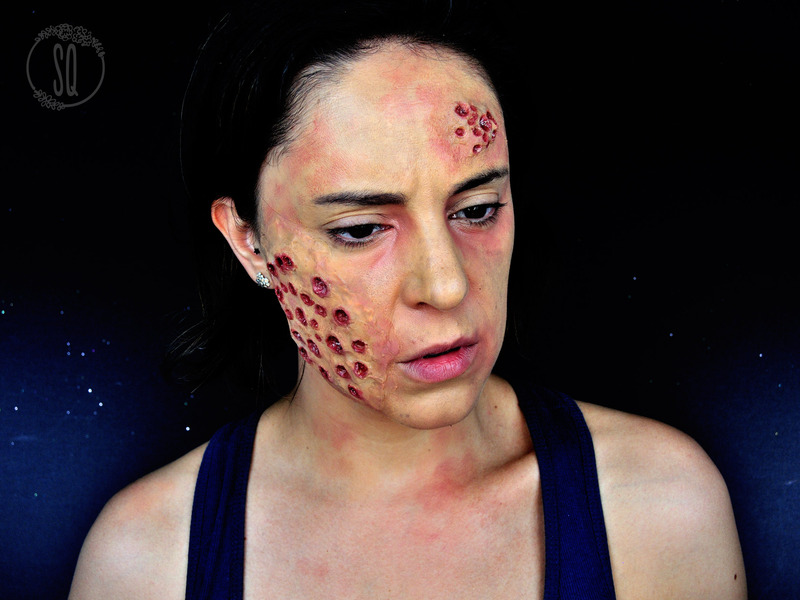 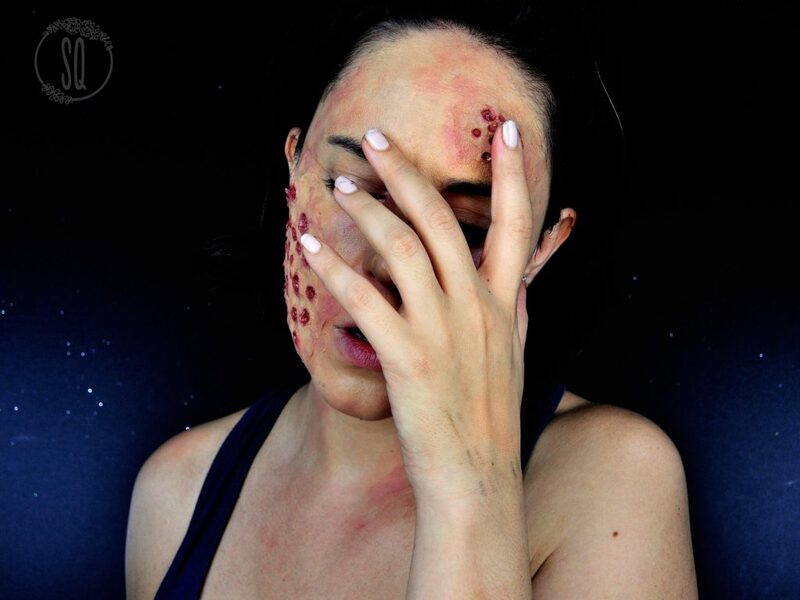 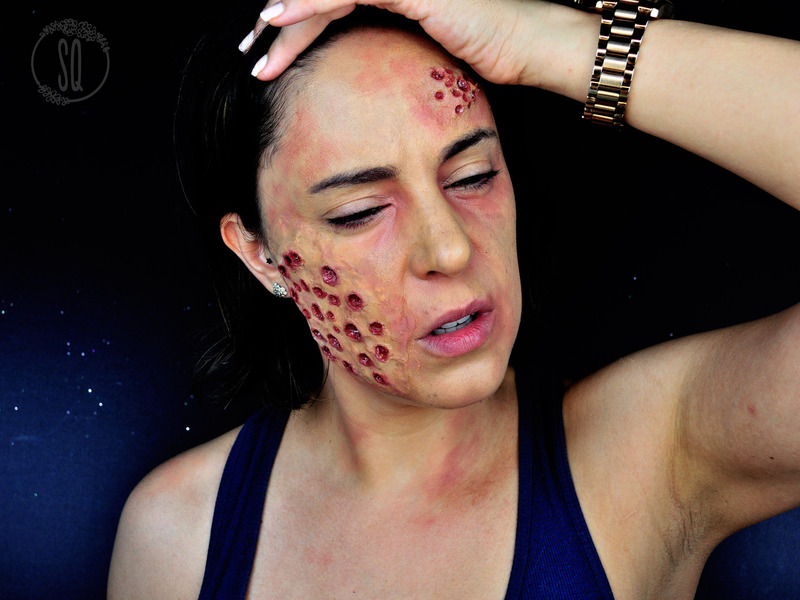 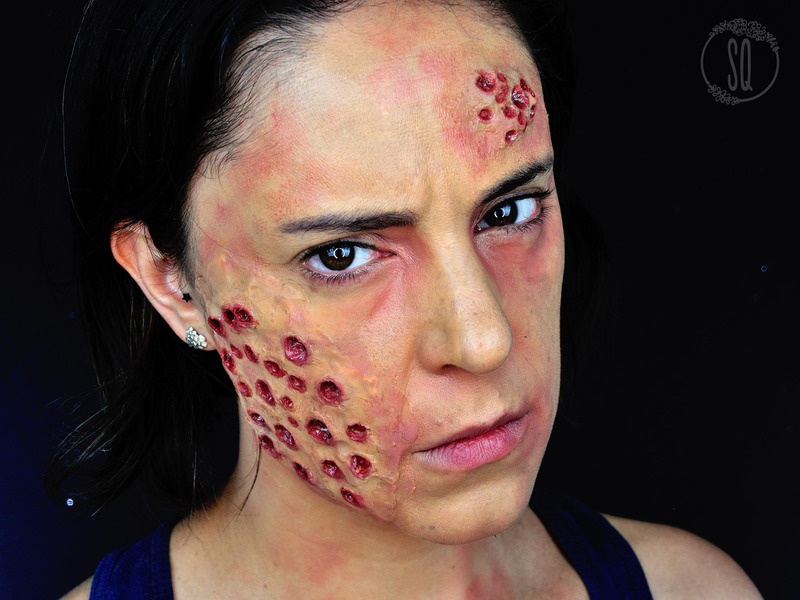 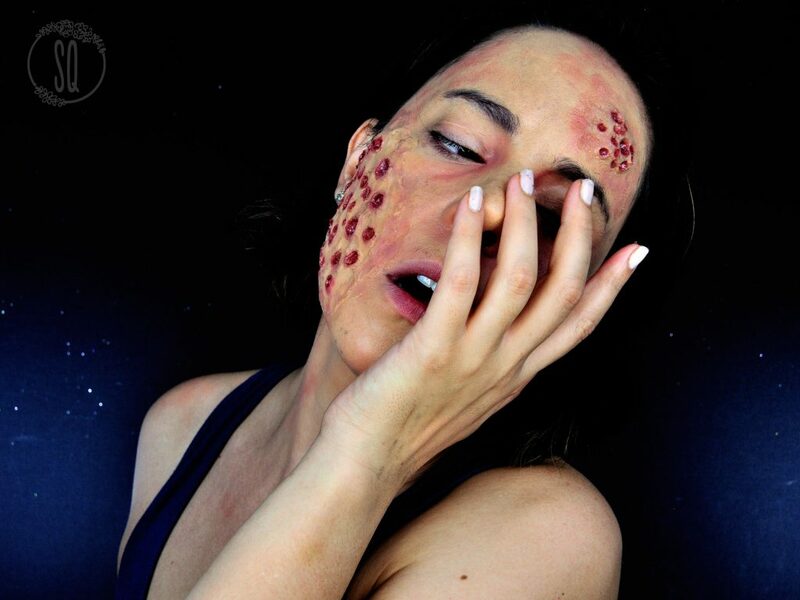 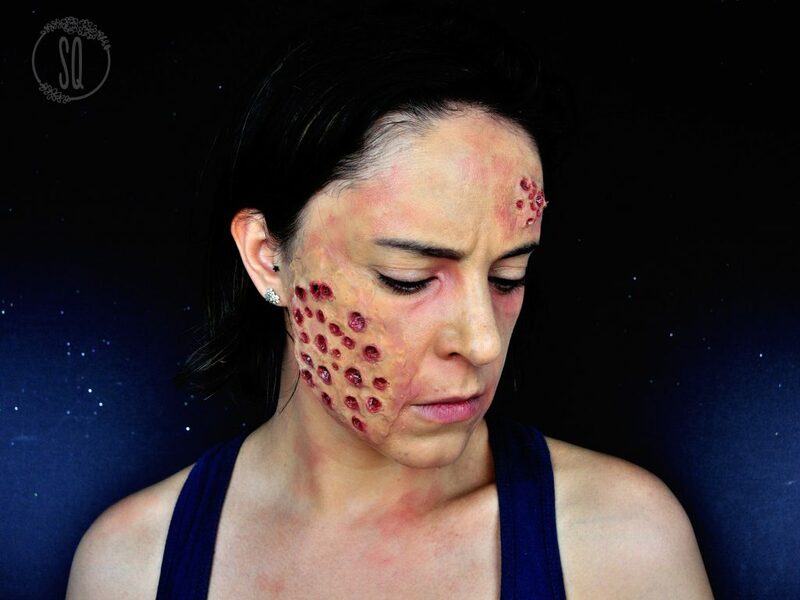 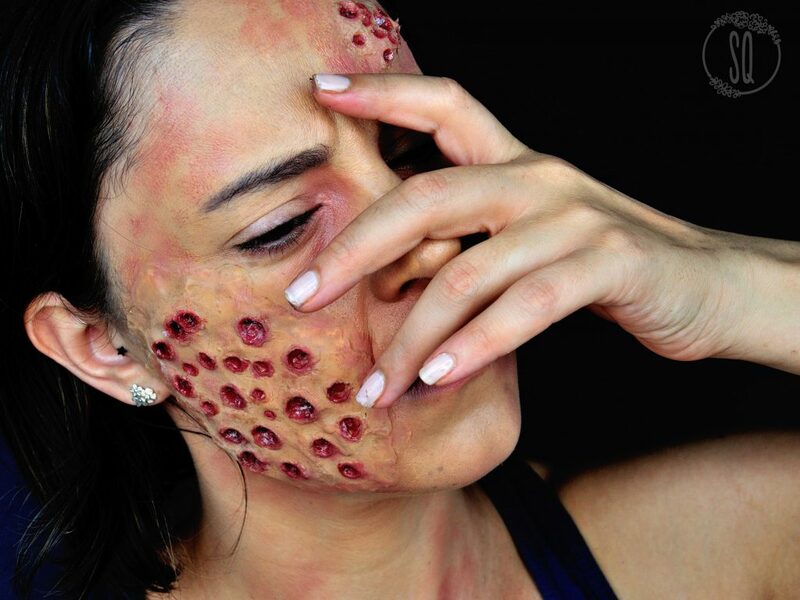 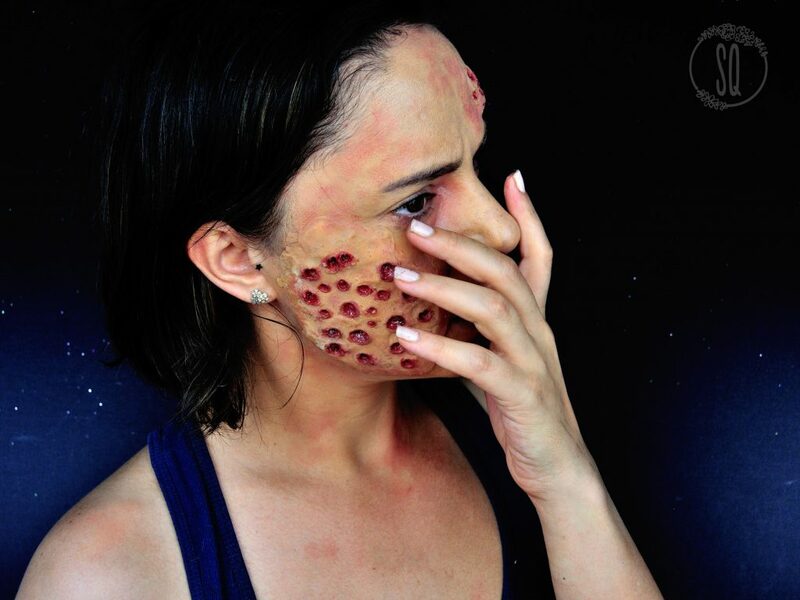 Today we are starting the new Halloween season with this very explicit special effects makeup, if you have trypophobia better move on to the next post, cause we are doing a holes effects on the face, very striking and realistic. 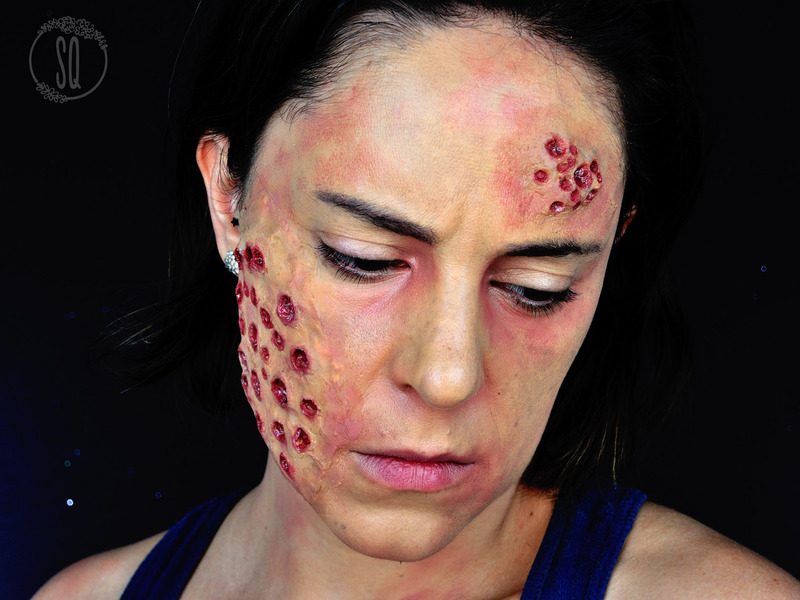 We are doing two types of effects here, one using a prosthetic and other one using modeling wax creating the effect right away on the face. 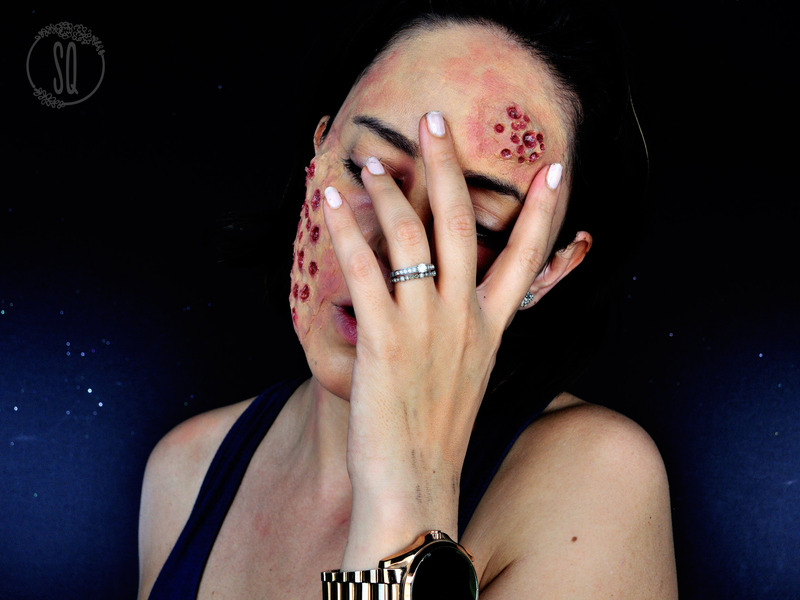 Alcohol activated colors Skin Illustrator.